Have you lost money for your business because you couldn’t confirm whether or not someone had paid an invoice? Did someone tell you they could save you money on your insurance policy but you couldn’t find it to confirm? Are you tired of being overwhelmed and having to search every time you open your filing cabinet? According to Organized World, the use of office paper has tripled since the birth of the computer. The Small Business Administration states that 80% of the papers we file, we never refer to again. 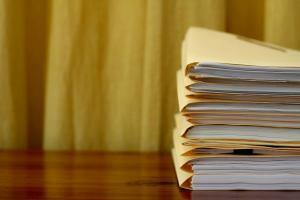 Let’s also look at the cost of doing and maintaining filing. Gartner Group, Coopers & Lybrand, Ernst & Young found It costs about $25,000 to fill a four drawer filing cabinet and over $2,100 per year to maintain it. And finally: Americans waste more than 9 million hours each day looking for lost and misplaced articles according to the American Demographic Society. As a small business owner, I know how important it is to keep track of paperwork whether it’s client files or the latest expense report. It’s important to set up a system that works for you, so I will customize a filling solution so you are able to quickly find what you need when you need it. I also suggest setting up a similar file on your computer. If your paper filing system is set up similarly to your paper files it can make life easier. Don’t be embarrassed! Call 919.559.3925 to set up a free 20-minute phone consultation to learn how I can support you in clearing your file clutter and getting your files organized! I am available to consult with you via Phone, FaceTime, Skype, Google Hangouts on Air.